If you're in New York next month, stop by the Museum of the City of New York for a panel discussion about how Southern migration influence the food and cooking of the New York with three of my friends; Jessica Harris, Ted Lee, and John T. Edge. Dollars to donuts, they'll talk about Edna Lewis. On February 18, 2010, the Museum of the City of New York, in partnership with the Southern Foodways Alliance and Mississippi Development Authority/Division of Tourism, will host a discussion, focusing on how The Great Migration transformed the culinary culture of the North. Leading the discussion are Jessica Harris, author of a forthcoming history of African-American foodways, and one of the 50 founders of the Southern Foodways Alliance. In 2007, she took leave from Queens College (where she is a full professor) to assume the Ray Charles Chair at Dillard University in New Orleans. And Ted Lee, one of the James Beard award-winning Charleston Lee brothers. Ted, along with his brother, Matt Lee, is at work on a book of essays about New York City food culture. The work will certainly examine the influence that South Carolina natives have had on New York, but at its core, the book will be a celebration of the multicultural delights of our nation's culinary capitol. John T Edge will moderate the discussion. Click here to learn more about the event and purchase a ticket. What's my connection to these folks? Jessica has printed several of my recipes for various preserved things in her books. 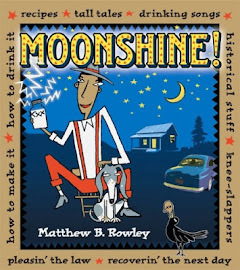 Ted—along with his brother, Matt—gave an early plug to my moonshine book in the New York Times, and John T., as director of the Southern Foodways Alliance, has given me more than a few platforms to hold forth on whiskey in person and on the page. I'm grateful to them all. If I weren't going to be in New Orleans, I'd join them on the 18th.